A certified interpreter has passed a federal court interpreter certification exam for the Spanish language, or a state certification exam for languages other than Spanish, and has met requirements (if any) to maintain certified status. Which languages are federally certified? Federal certification is currently available in Spanish. What about criminal background checks for interpreters? All interpreters contracted for work in court must provide their fingerprints for an FBI background check. A background check must be repeated every two years. Who pays for the services of an interpreter in federal court? 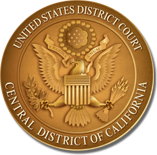 In all judicial proceedings instituted by the United States that require the appointment of an interpreter, the cost of the court-appointed interpreter will be paid by the United States from appropriations available to the judiciary, except that the Office of the United States Attorney is responsible for securing the services of such interpreters for government witnesses. For a detailed description of which proceedings qualify for appointed interpreters, please refer to sections (a) and (j) of the Court Interpreters Act. When defense counsel need the services of an interpreter away from the courthouse, they should make arrangements to contact, contract, and pay the interpreter. For more information, please see “For Attorneys” on the "Interpreter Services" page. Interpreters may be appointed only for defendants (or defense witnesses) in proceedings instituted by the United States. Interpreter services for all other proceedings must be provided and paid for by the parties to the case. Is there federal certification for translators? Federally certified court interpreters are not tested for translation skills. To find translators who are certified by the American Translators Association, you may search the membership listing at: www.atanet.org. How does an attorney, in a civil case not instituted by the United States, go about finding an interpreter? Attorneys may refer to the paragraph entitled “Finding an Interpreter" on the "Interpreter Services" page.